Dr. Rongvaux earned his PhD from the Free University of Brussels in 2004. 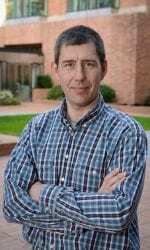 He is currently an Assistant Member in the Clinical Research Division of the Program in Immunology at Fred Hutchinson Cancer Research Center. 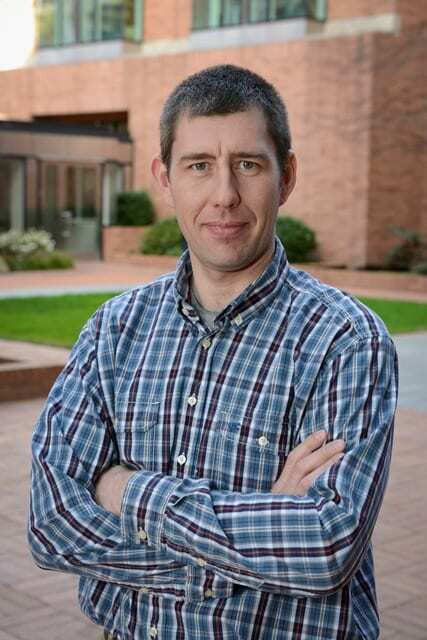 Dr. Rongvaux joined the University of Washington Department of Immunology as an Affiliate Assistant Professor in 2017. The Rongvaux Lab studies the innate immune response, the very first steps in the development of an immune response after exposure to a pathogen or formation of a tumor. Our work focuses on understanding how this immune system recognizes and responds to the presence of abnormal cells, such as tumors or infected cells, and how this immune response contributes to disease. 2) How macrophages contribute to the tumor microenvironment and affect tumor development. To address these questions, we are developing specific models of genetically-modified mice, including “humanized mouse” models that allow us to translate our findings to pre-clinical conditions. Rongvaux A. Innate immunity and tolerance toward mitochondria. Mitochondrion. 2017 Oct 17. pii: S1567-7249(17)30235-0. doi: 10.1016/j.mito.2017.10.007. [Epub ahead of print] Review. PubMed PMID: 29054471. Rongvaux A, Jackson R, Harman CC, Li T, West AP, de Zoete MR, Wu Y, Yordy B, Lakhani SA, Kuan CY, Taniguchi T, Shadel GS, Chen ZJ, Iwasaki A, Flavell RA. Apoptotic caspases prevent the induction of type I interferons by mitochondrial DNA. Cell. 2014 Dec 18;159(7):1563-77. doi: 10.1016/j.cell.2014.11.037. PubMed PMID: 25525875; PubMed Central PMCID: PMC4272443. Rongvaux A, Willinger T, Martinek J, Strowig T, Gearty SV, Teichmann LL, Saito Y, Marches F, Halene S, Palucka AK, Manz MG, Flavell RA. Development and function of human innate immune cells in a humanized mouse model. Nat Biotechnol. 2014 Apr;32(4):364-72. doi: 10.1038/nbt.2858. Epub 2014 Mar 16. PubMed PMID: 24633240; PubMed Central PMCID: PMC4017589. Rongvaux A, Takizawa H, Strowig T, Willinger T, Eynon EE, Flavell RA, Manz MG. Human hemato-lymphoid system mice: current use and future potential for medicine. Annu Rev Immunol. 2013;31:635-674. doi: 10.1146/annurev-immunol-032712-095921. Epub 2013 Jan 16. Review. PubMed PMID: 23330956; PubMed Central PMCID: PMC4120191. Rongvaux A, Willinger T, Takizawa H, Rathinam C, Auerbach W, Murphy AJ, Valenzuela DM, Yancopoulos GD, Eynon EE, Stevens S, Manz MG, Flavell RA. Human thrombopoietin knockin mice efficiently support human hematopoiesis in vivo. Proc Natl Acad Sci U S A. 2011 Feb 8;108(6):2378-83. doi: 10.1073/pnas.1019524108. Epub 2011 Jan 24. PubMed PMID: 21262827; PubMed Central PMCID: PMC3038726.